There are two main bars within the club, both open-aired. One is at the swimming pool/tennis court area for the convenience of patrons there. 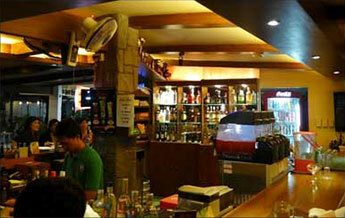 This bar also has the convenience of Sky Cable television. Food can be ordered and served from there. 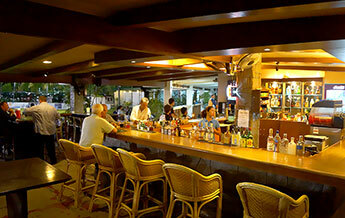 This bar caters for the swimming pool and tennis court area. 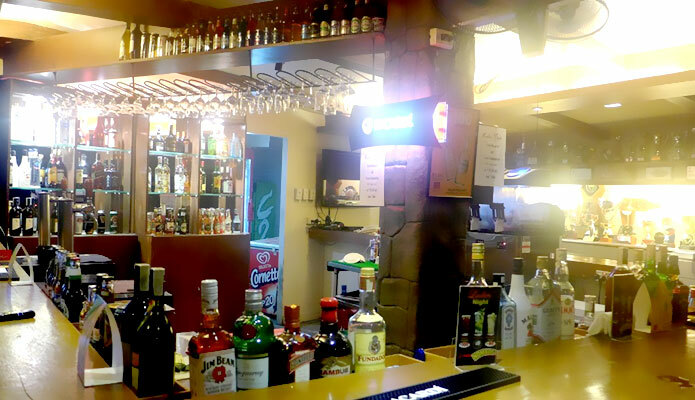 The main bar overlooks the playing field and has a large television with Cable and Super Sport satellite connection that allows members to enjoy major international sporting events live. For major events with a large crowd, a projector can be connected to beam on to the large outside wall of the squash courts, much like a movie cinema. 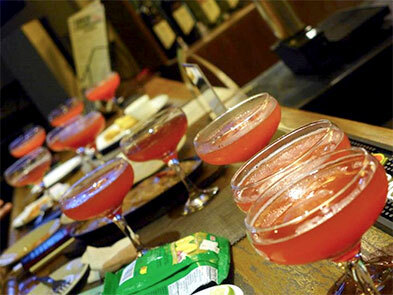 The club has its own kitchen where a variety of fresh meals and bar snacks are prepared. Selection can be made from an extensive menu and food is supplied at competitive prices. There is always something to appeal to every member of the family. 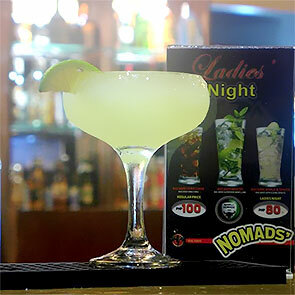 Bottomless frozen Margarita and Cosmopolitan at PHP 295 are served from 7 to 10 pm at the Ladies' Night in Nomads which coincides with the regular Ladies Rugby practice. Copyright © 2008-2013, Nomad Sports Club, Inc., All rights reserved.